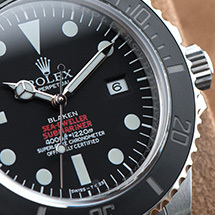 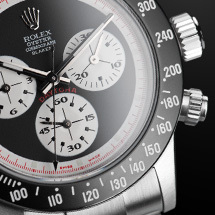 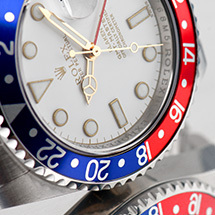 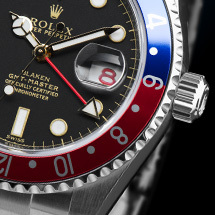 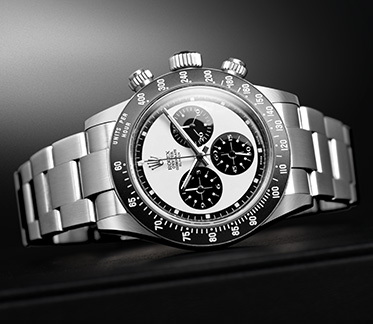 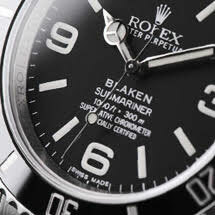 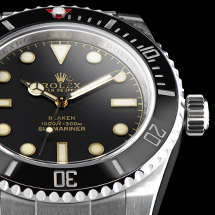 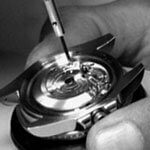 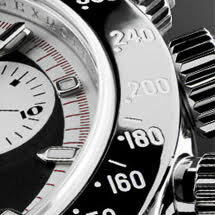 Rolex immortalised Daytona, a legendary location for motorsport enthusiasts, on the watch face. 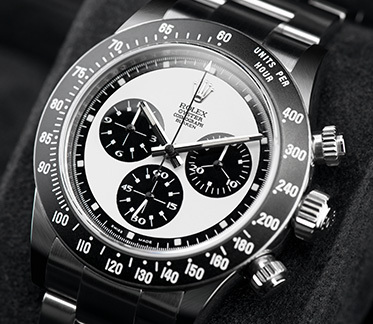 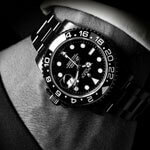 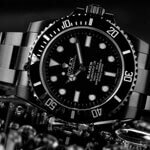 By the time Paul Newman publicly wore this watch in his leading role in theracing driver film "Winning", it had become the one of the iconic time pieces of the 20th century. 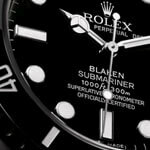 For the second time, Blaken's Vintage Line now presents a model that is not coated with the typical Blaken luxurious black coating, having instead a hand-painted vintage watch face in the "Paul Newman design". 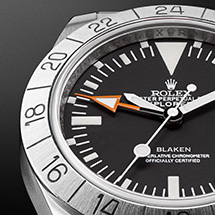 The Blaken Vintage Line "Daytona Paul Newman II" is limited to 78 examples and each individual example is delivered in a handmade, wooden collector's box in finest macassar and ebony. 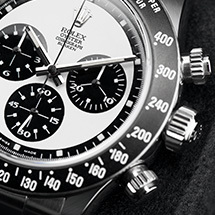 Silky gloss black bezel with UV-hardened tachymeter in white.